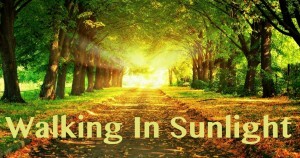 When the sun rose this morning, and when its warm and vibrant shining rays broke through the dawn … just one of an infinite number of ways and expressions of God’s love was being shown. When the rains come, whether in a light mist, steady rain or even in a downpour … these are but expressions of God’s love! God’s love is not just words written down on so many pages … but it was demonstrated in the very deepest of sacrifice … “His only begotten Son” whose death upon the Cross of Calvary made it possible for each of us to have hope beyond this life! There are words throughout God’s Book that serve to touch our hearts, move our emotions and convict us to obedience. Words God chose to be preserved, read, believed and practiced and this Book of God will always be relevant! There are words to songs that can serve to remind us of past days, events, relationships. And there are songs that are written to teach us not to be self-seeking or self-serving. This life is not meant to be about us … it is meant to provide opportunity to acquire faith that is living and active replete with obedience and a desire to honor and glorify our Heavenly Father ( 1 Corinthians 6:19, 20). 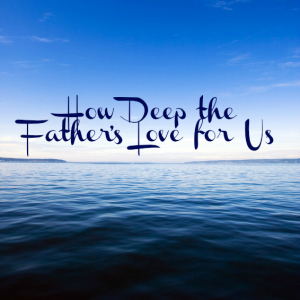 The words of the song entitled How Deep The Father’s Love is one of those songs. The entirety of God’s wonderful plan of salvation that includes both His divine will and our own obedience to it began with the love of God! It is because of God’s love that He would be interested in loving such unworthy people as we are! It is beyond our limited and finite minds to fully grasp … yet it is so because the Bible tells us so. God in His rich love, grace and mercy has made salvation possible for each and every one of us if we are willing to accept His invitation and obey His will! We must remind ourselves each and every day just how much He loves and cares for us. He has given us the opportunity to become members of His family … to address Him as our Father and for us to be called His children! Because God loves us He has prepared a wonderful and incredible future for His own! It is called Heaven and I so want to go there … don’t you? It is true that if we miss Heaven then we’ve missed it all! My hope has been strengthened by these thoughts and I pray yours has as well! Thank you Lord!